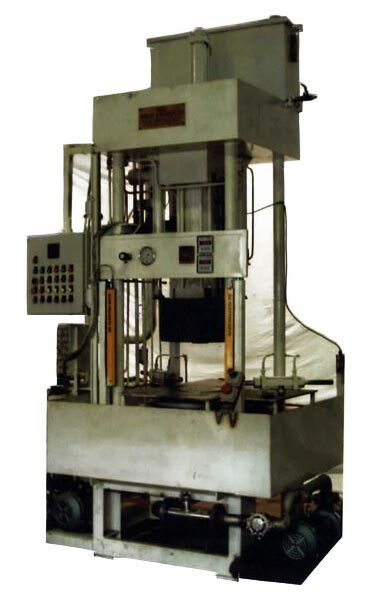 Our precision designed Single Station Quench Press (QP-75T) is widely in demand by the clients owing to its high operational efficiency, low maintenance and easy usage. Single Station Quench Press that we manufacture and export is hydraulically operated 75T Quench Press, which is highly recommended for very heavy components. Single Station Quench Press has all the features of the 50T machine but it is of much higher capacity.